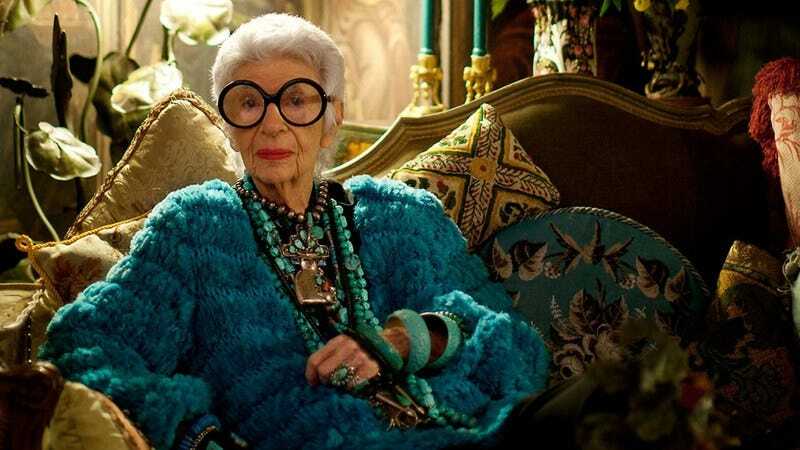 The late Albert Maysles (acclaimed director of Grey Gardens and Gimme Shelter) turned his lens to Iris Apfel, the 94-year-old New York fashion icon with a personality as big as her signature glasses. Similar to Bill Cunningham, NY and Joan Rivers: A Piece Of Work, Iris looks to be a jazzy and warm-hearted peek into the life of an aging taste-maker. The documentary opens in Chicago on May 15, but The A.V. Club and Magnolia Pictures have an opportunity for you to get an early look at the film for free on May 4. For your chance to win a pair of passes to the advance screening, simply follow the link here and enter your information. As always, seats will be first come, first served, so be sure to arrive early. You can find an official plot synopsis and trailer for the film below.